If you have applied aadhaar card successful. Then it’s time to check aadhaar card status. 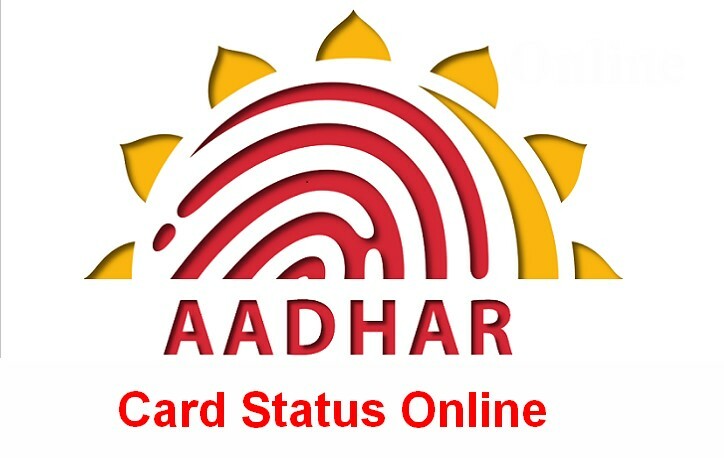 Now you can check aadhaar card status online mode. You do not need to go any official government office. Because it is a online process. You can check any where but you should have enrollment id slip otherwise you cannot. There are some people believe that by entering username, date of birth or mobile number to check aadhaar card status. Not it’s not possible it’s a misconception.You can not check Aadhar card status by name or mobile number. But if you have a enrollment id slip then you check it within two minutes by enrollment no. Here we are giving full information about how to check Uidai aadhaar card status online. Just follow the below instructions step by step. Then you can come to know some idea about e aadhar card status enquiry. Here I will try to explain yo how to check Aadhaar card status online. It’s a very easy and simple process. Before checking your status there are few requirements you need to verify one is Enrollment slip in that slip it’s contain enrollment id and date/time. Just once check your internet speed because if you have a good connection then its okay otherwise it’s take lot of time or it will show like the server is not found. You must be aware of the steps that are to be followed to check the enrollment status. If you do not have any idea just follow step by step here. Let’s start the process. As you can see in the above photo you need to fill all mandatory fields. To start with this process just take out the enrollment id slip. Now check the enrollment id slip and find out your Aadhar Enrollment number, at the top of your acknowledgment slip it contains 14 digits enrollment number and the date and time of enrollment. These 28 digits together form your temporary enrollment id. Enter the 14 digit Enrollment number and Date/Time that as mentioned in your enrollment slip. After that you need to enter the security code. That as given in above box. Then once check the all details that you entered in the filed are correct or wrong, just once cross check the all the information. After that click on the check status button. That’s it now you come to know your Uid card status. Yes you can also check your Aadhar Card or Uidai Status by SMS . For this just follow the below steps. Type a new message from your Aadhar registered mobile number. You will soon receive a message with the status of your Aadhar card. Here i have to clear one thing that you cannot check your Aadhar card status by name, date of birth or mobile number. It’s not possible. Because your full details feed into particular Aadhar card data base. That’s means it’s more secure. You cannot access directly. There are some rules and conditions if you want to check your Aadhaar card status. You only come to know by entering your enrollment id and Date/time. After checking your Aadhar status, if you find that your Aadhar card is processed and is shipped or is out for delivery. Then you need to track Aadhar card postal status. They ship or courier Aadhar card to registered Speed post of India or Official Indian Post. Just Go to Indian Post Official Website. Open The Speed post Tracking link. Now Enter your Aadhar Enrollment Id and Data and time of Enrollment. 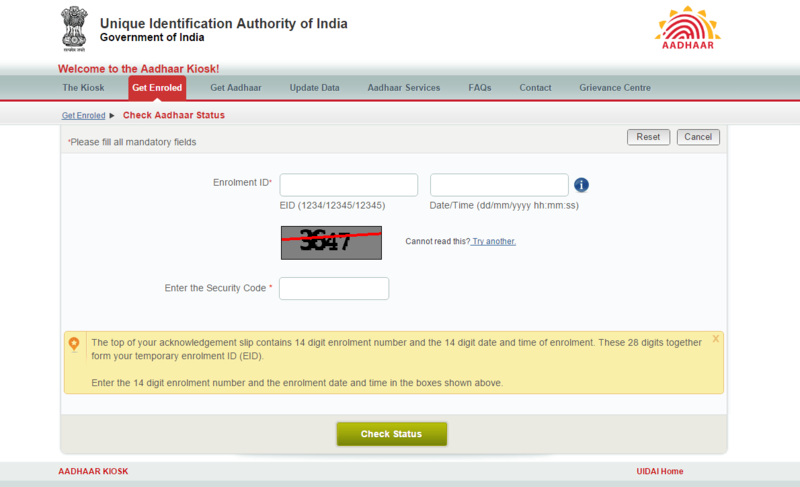 Click on Verify to get Your Aadhar card delivery status. I hope you get to know your status successful. It’s a very easy and simple process. If you have enrollment id slip then you can come to know otherwise you cannot get to know your Aadhaar status. As you can also seen epass status of andhra pradesh and telangana. Please fill all mandatory fields otherwise it will show error on your process.